"Teachers should be the best mind in the country"
Set your goals high, and don’t stop until you get there. Team spirit and healthy competitiveness goes hand in hand here. Qualified instructors and coaches train the students in specific sports depending upon their interests and choices. 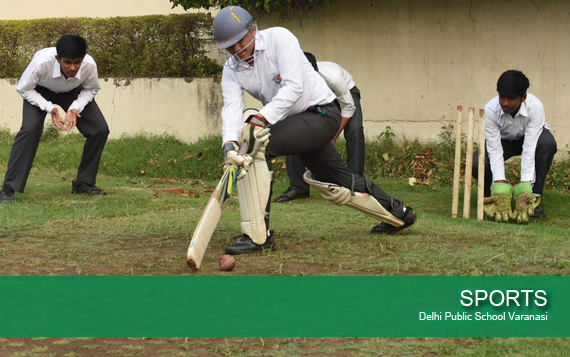 The School has a dedicated football and cricket ground, along with practice nets and bowling machines. For those who wish to pursue indoor games such as table tennis, badminton, basketball, Skating etc a large indoor area is built. Activity areas for games like chess, carom, etc is also present. 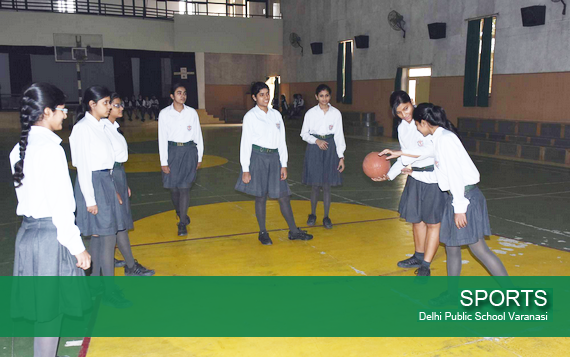 A comprehensive sports complex including swimming pools and gymnasium provide healthy grounds for the physical education of the child. Tennis courts are built in accordance with the international standards, it has a provision of 4 tennis courts. A variety of swings and outdoor play equipments have been installed in a spacious park where children enjoy during recess. 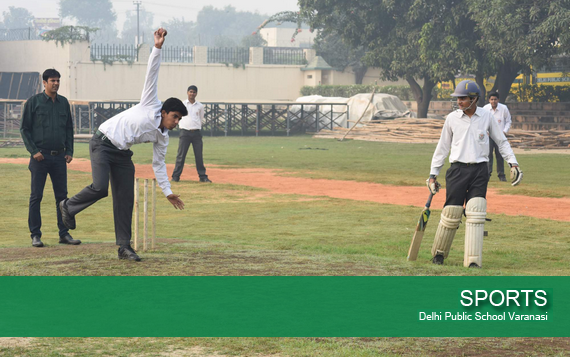 Delhi Public School Varanasi functions under the aegis of Delhi Public School Society that is recognized throughout the world for its progressive approach and commitment to excellence in the field of education. Distinction and diversity are the twin-hallmark of its philosophy; educational leadership and scholarly achievement- its mission. 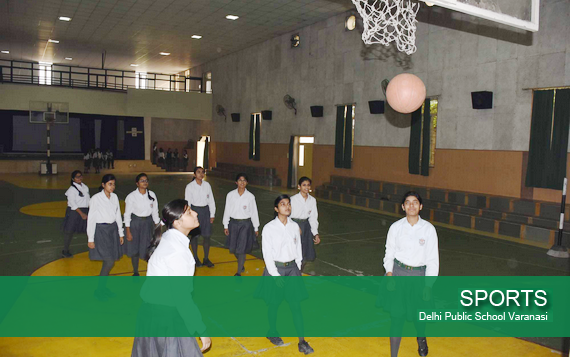 Delhi Public School Varanasi is modeled on the concept of providing holistic education so as to promote an overall social, physical and mental development of each child. A meticulously planned and flawlessly executed curriculum forms the basic framework that helps shape each individual as per the learning style. The entire teaching learning pattern is child friendly and interactive, thus making the entire process engaging and creating learners for life. © 2016-18 Delhi Public School, Varanasi. All rights reserved.